So while on a little browse through House of Fraser yesterday (my intention was to buy the Yves Saint Laurent foundation but they were out of stock in my shade) I stumbled upon the new Ralph Lauren Big Pony perfume collection for women, ever since I saw these advertised I've wanted to try them because my brother has all 4 of the men's version and loves them. There are 4 different scents for the girls - Sporty, Sensual, Free Spirited and Stylish, designed so you can have a different scent for whatever mood you're in. They come in bright colourful bottles with the number of the fragrance on one side and the iconic horse and rider on the other side, with a silver pull off lid. I went for fragrance number 2, Sensual which comes in the pink bottle and immediately fell in love with it, I managed to persuade myself to leave when I first smelt it but ended up going back to buy it about twenty minutes later. It's not the normal scent I go for these days, quite sweet and fruity smelling, but it really reminded me of a perfume I used to wear when I was a teenager and it brought back loads of memories, I later realised that the perfume it reminded me of was Ralph Lauren's Ralph perfume that used to come in a short round bottle with a blue stripe, whenever I see this, I still have a little smell! 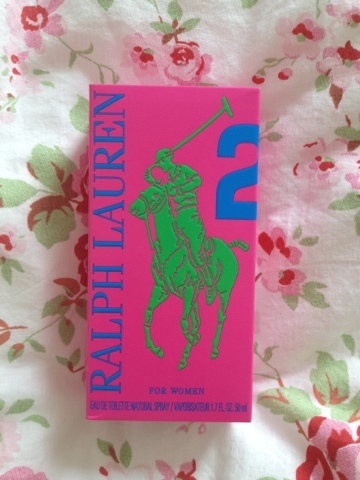 Anyway, back to Number 2, it's very similar to Ralph but a lot more grown up smelling. 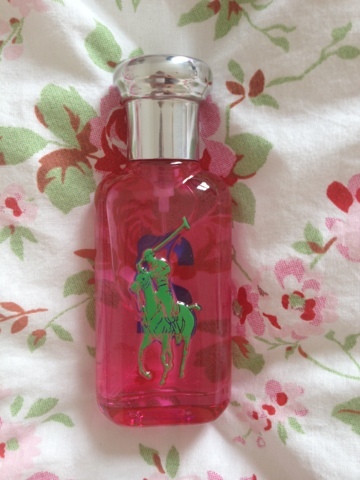 Ralph Lauren advertise this as "RL Pink blends cranberry and tonka mousse to create a sensual, fruity scent" - It's a really nice fragrance for the summer, really fresh smelling. Longevity wise it's probably around 4-6 hours before needing to re-spray. 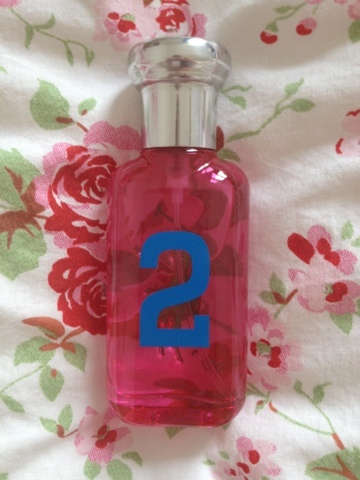 The lady on the counter said that number 2 and the number 4 fragrance (in the purple bottle) seem to be the most popular. The thing I like most about this collection is that they all smell really different so you really can get a different scent for however you're feeling. I still love Viktor & Rolf's Flowerbomb but think I'll probably end up wearing this more through out the summer just because it's a really nice summer-y, girly scent. I picked mine up in House of Fraser, I got the 50ml bottle for £35 but the lady at the counter advised me that House of Fraser are exclusively stocking the 100ml version for £55. Have you guys got any of this collection? 2 comments on "Ralph Lauren Big Pony No. 2 Perfume - Sensual"